Mabuhay! Welcome to our blog. Real Appraisal exists to help propagate the importance of property appraisal as well as to serve as a resource center for real estate practitioners and the general public. We discuss here how to the appraisal process and how appraisers work in valuing properties. Thus we will feature the appraisal profession, our opinion on issues affecting the profession and issues that requires an appraisers opinion. Our purpose is to inform and educate our clientele, peers and the general public on the appraisal profession. Through this blog, everyone can perform a number of tasks. Browse the latest update on real estate market, appraisal services, or spend some time more about the appraisal profession. The more you know, the better decision you can make. About Gus: A real estate practitioner- a license broker and appraiser and faculty of real estate management, and an environmental planner. Real estate practice compounded his professional career and one of the dependable real estate practitioners in Cebu. His expertise was tapped not only by property owners but also by government agencies, trial court and institutions. He has appraised more than 300 properties for different purpose- market value appraisal, leasehold, equipment, insurable value, retroactive value appraisal and more. My clients include property owners, corporations, cooperative, lawyers, accountants and other individuals. His expertise in appraisal was highly sought even in court proceedings, having appointed as Appraisal Commissioner in different court in Cebu and Lapulapu City and conducted appraisal for litigation purposes. He also worked as Associate Appraiser for the BIR Technical Zonal Valuation Committee in Cebu. 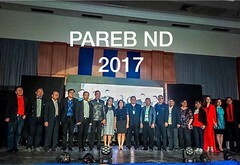 He was also the Founding President of Cebu South Real Estate Board, a local board under Philippine Association of Real Estate Board (PAREB). He is a faculty of University of San Carlos teaching real estate management subjects such as principles of ecology, property management, consulting, real estate appraisal, board exam reviewer and other topics. I also speak and provide lectures, review and seminars on real estate matter. Outside real estate, he is a volunteer Associate of Redemptoristine Sister which help in different projects that serves poor people. We welcome community involvement and recommend our readers to voice their opinions on our blog by commenting on our stories. If you have issues or questions that you will like us to render an opinion, a story you think we should be covering, or some feedback on any aspect of the blog, we love to hear it from you.